Just in time for the weekend, this month's edition of Wendy's Favorite Things is featuring a fabulous Great Eight roundup! This month, I'm featuring everything from a fabulous liqueur to a unique and spicy snack...to a sophisticated soda and a straw to drink it with. Let's get the fun started! (1) Beekman 1802 Sauces. OMG...these gourmet sauces are truly fantastic! 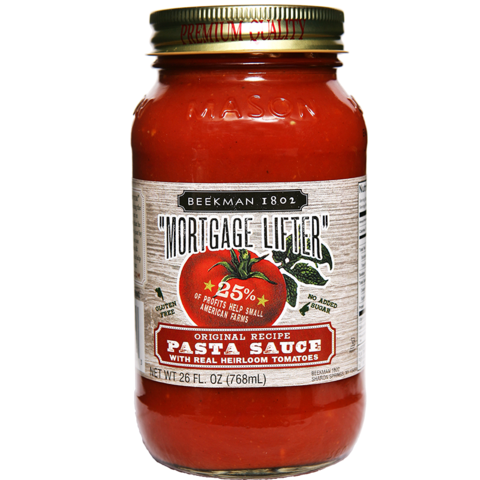 I tried both the "Mortgage Lifter" Heirloom Tomato Pasta Sauce and the "Mortgage Lifter" Heirloom Bruschetta Sauce. Both are made with heirloom tomatoes, and they taste great. The pasta sauce has a bright flavor...and I love that it's made with all-natural ingredients and leaves out high fructose corn syrup and added sugars. I used it to make a delicious bolognese that I served over penne pasta when we had unexpected company one weekend. The Bruschetta is bursting with chunks of heirloom tomatoes, garlic, onion, and a generous helping of basil and parsley. We enjoyed part of it served on crusty bread for a no-fuss appetizer. The rest I warmed and used as a chunky sauce over meatballs and cheesy mashed potatoes for an on-the-fly dinner that Michael proclaimed utterly delicious! I also received a jar of their Bourbon BBQ Sauce, which I'll be featuring in an original recipe in the coming weeks. All Beekman 1802 products are produced in small batches with items produced at 1802 Farm in New York, and many items are seasonal. 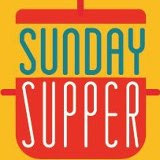 This and many more amazing food, body, and home items can be purchased online at the Beekman 1802 Mercantile. (2) Villa Massa Limoncello. If you’re a citrus lover and haven’t tried limoncello…what are you waiting for?!?!?!? Limoncello is an Italian lemon liqueur that slightly sweet and bursting with bright lemon flavor. Not all brands are the same, though. 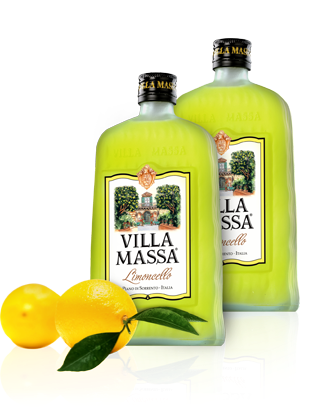 I recently tried Villa Massa’s limoncello, and it’s hands down the most natural tasting limoncello I’ve ever sipped. Villa Massa is made in Sorrento, Italy...so it's the real deal! I’ve featured their fragrant limoncello liqueur in a couple of recipes -- my sublime Limoncello Strawberry Shortcake and my fruity Tropical Breeze Sangria. The Villa Massa lioncello yielded perfect results in both recipes. It also makes a great cocktail mixer. Simply add 1-2 ounces of Villa Massa limoncello to a tall glass of sugar-free lemon-lime soda served over crushed ice. In less than 5 minutes, you’ve got a simple, refreshing citrus Summer spritzer. (3) Simply Straws. I am completely in love with these amazing straws! Trust me, there’s a lot to love about these straws. Simply Straws is a family-run company that's based in California. Their sturdy glass straws are handmade, BPA free (that means no toxins! ), and they’re reusable. That means they’re better for the environment than traditional plastic straws too! Simply Straws come in lots of fun colors, shapes, and diameters. My light pink Simply Wide straw has an extra-wide diameter, making it perfect for drinking everything from water and sodas to smoothies and milkshakes. When I’m done using the straw, I simply rinse it with a bit of hot soapy water in my kitchen sink…but they’re dishwasher safe too. Simply Straws can be purchased online via the Simply Straw website. (4) Saffron Road Crispy Chickpeas. I recently discovered this amazing crunchy, protein-packed snack…and now I’m totally hooked. 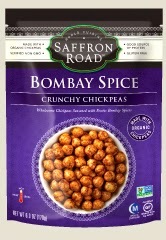 Saffron Road cooks the chickpeas until crispy, then coats them in an exotic Indian-inspired spice blend. These snacks come in a variety of flavors, including Bombay, Falafel, and Wasabi. I'm crazy about the Bombay flavor – the seasoning is warm and inviting, with a curry-like flavor profile. This is a perfect after-work snack that I don’t have to feel guilty about. As an added bonus, they're certified to be non-GMO. 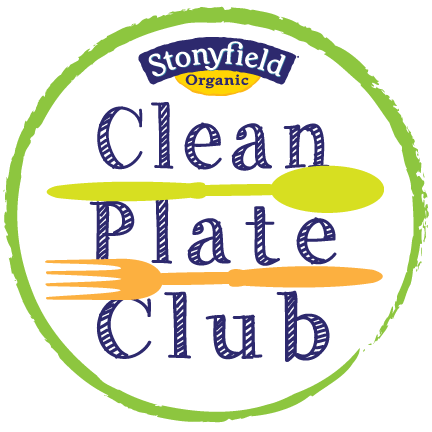 Each 1-ounce serving of these crunchy chickpeas has just 110 calories, 3 grams of fat, and 5 grams of protein. If you enjoy chips and nuts, this is a perfect substitute – all the crunch, with less fat. The Saffron Road Product Locator will help you find this addictive snack at a store near you. Go get yourself some of these crunchy chickpeas…like now! You can thank me later. (5) DRY Soda. This soda is perfect for soda lovers who don’t enjoy cloyingly sweet sodas, but don’t like the artificial sweeteners that diet sodas have. DRY Soda contains 1/4 to 1/3 less sugar than traditional sodas, and each can contains only four natural ingredients and 45-70 calories. 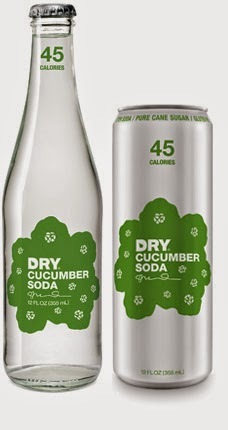 DRY comes in a number of unique flavors you don’t normally see in sodas, including: Cucumber, Vanilla Bean, Lavender, and Rhubarb. Surprisingly, I really enjoyed the Cucumber – the cucumber flavor isn’t overpowering at all. It's refreshing, and it definitely reminds me of Summer. I added a squeeze of lime and poured the well-chilled DRY Cucumber over lots of crushed ice. It was really refreshing on a warm Texas afternoon. DRY Soda is available at many major grocery chains across the country. To find it near you, visit their online Store Locator. (6) Klara’s Gourmet Cookies. This artisan cookie company was founded in 2006 in the Bershires of Western Massachusetts. Klara’s delicious cookies are based on recipes that have been in her family for generations. Her award- nominated coconut macaroons are and full of true coconut flavor – the addition of honey ensures they stay perfectly chewy! I also tried several varieties of her buttery shortbread. All of the flavors were great, but I went totally nuts for the Chocolate & Sea Salt Shortbread. The salty finish to the sweet cookie was perfect -- and the salt level was perfectly balanced with the sweet. To order Klara’s Gourmet Cookies, all you have to do is visit their online store. They also offer a handy Store Locator on their website for you to find where to purchase them near you. (7) Promised Land Dairy. Promised Land Dairy is a Texas product that's produced just outside of San Antonio. It's some of our favorite dairy products, because the flavor is rich and creamy. Even their skim milk has a great mouthfeel! They also offer fun seasonal flavored milks as well. It's not the Christmas season for Michael until he gets his first glass of their decadent, rich eggnog. Their Spring seasonal flavors include Pralines & Cream, Cookies & Cream, and 2% Cinnamon-Vanilla. The flavored milks are sweet...they remind me a bit of a melted shake. They're an occasional treat for us, but we sure do enjoy them. 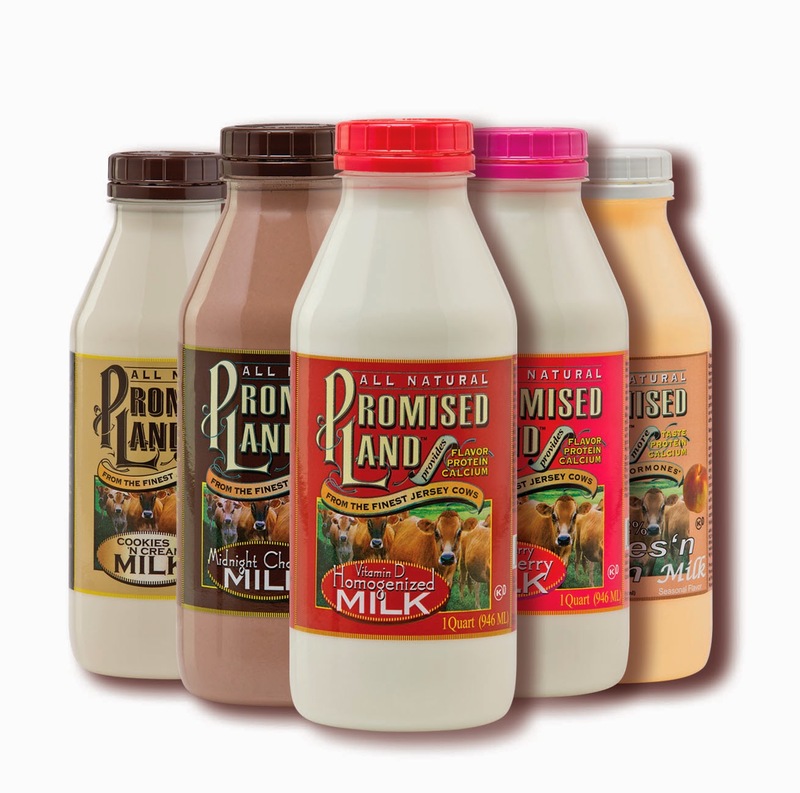 My Texas readers can find Promised Land's flavored milk at stores across the state. (8) Driscoll’s Organic Strawberries. I am crazy about strawberries, and I especially love Driscoll’s strawberries. In my experience, Driscoll’s strawberries are consistently sweet and juicy. Did you know that Driscoll's also offers a line of certified organic berries? I recently decided to give their organic berries a try, and I was completely blown away. The strawberries were deep-red all the way to their center, highly fragrant, juicy, and the flavor was perfectly balanced between sweet and tart. I will admit that Driscoll's organic strawberries do cost a bit more, but I find the expense worth it for the superior flavor they provide! 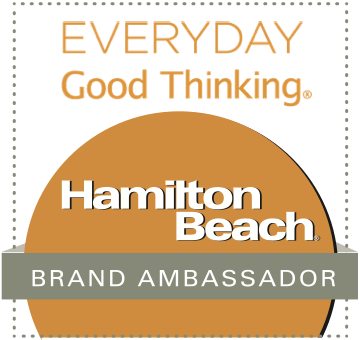 Disclosure: The companies featured in Wendy's Favorite Things provided me with samples of their product to try out in my kitchen. 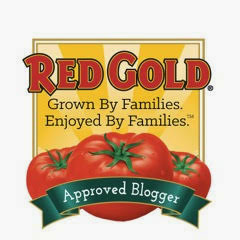 I only feature products that I have personally tried and enjoyed so much that I want to recommend them to my readers. All opinions expressed are my own.